Did I ever tell you how I got involved with Zentangle? I have always been involved in the craft world – sewing, crocheting, dabbling in watercolor and painting, cake decorating, calligraphy, jewelry making, taking workshops here and there of crafts that were of interest to me. I came from a family of artists (dad is a comic book artist, uncle was an illustrator) and although I tried my hand at watercolor and painting, I always felt like I was never much of a “real” artist. I made the joke that my family had the fine art gene and I got the arts and crafts gene. I really wanted something that I could call my own and feel like I was good at. Enter the world of Zentangle. I was on the internet one day and I honestly don’t even remember where I saw it, but suddenly there was this black and white abstract drawing that caught my eye. 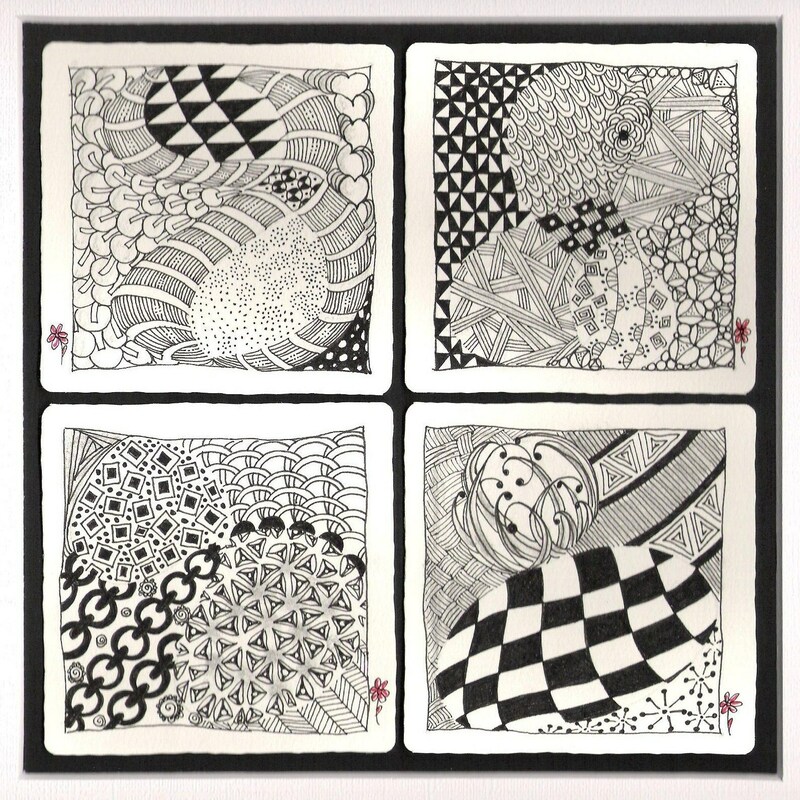 I followed the links and finally ended up at the Zentangle.com site. I got so excited! They actually had a kit I could buy! So I did…I bought it and started creating some Zentangle pieces. I really enjoyed the process. It was fun, it was easy, I didn’t have to buy a lot of supplies, I could take it with me pretty much anywhere because it was small and portable. I had found my niche. Then I saw in the local newspaper that a gallery downtown was going to have an exhibit, and that I could participate! The exhibit was called “Crazy 8’s” and was to be held at Gallery XII on Douglas in downtown Wichita, KS (a picture of that first piece is shown below). I was SO excited!! I decided what I was going to make for that show, completed it, framed it and took it down to the gallery. I invited friends and family to visit with me on the evening of the program (it was on a Final Friday) and people actually showed up! What a great feeling that was, and it propelled me to the next step. I talked to the gallery owners adjoining Gallery XII and they seemed impressed with what I had done. So I consigned a few pieces to them and lo, and behold, I sold some!! And, boy, did that make me feel good!! Because I knew Zentangle was a fun and easy art form, it was not hard for me to make the decision that I wanted to share it with other people. 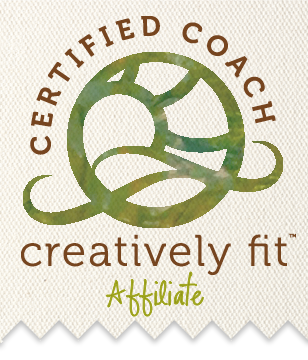 Since the founders of Zentangle, Rick Roberts and Maria Thomas, hold a certification program for those who want to share the Zentangle art method with others, I made my way to the East Coast to participate in that certification process. It was there that I really came to understand the value of Zentangle in people’s lives. Not only was it a fun and easy process, but there was a whole other realm to it. It increased my focus, created a different mood and state of mind in me, provided me with artistic satisfaction (Yay! I really AM an artist! ), and increased my overall sense of well being. It was uplifting!! Something I knew so many of us need in our everyday, hectic lives. If it could do all this for me, I knew it would be beneficial to anyone I was able to share it with. I became so much more grateful for having found it and for the privilege of being able to be certified to share it. You can learn more about the Zentangle method here and here. BUT WHY AM I TELLING YOU ALL THIS?? Because in the next couple of days you’ll see a post that will tell you about an upcoming Zentangle show where YOU can exhibit YOUR work!! I can’t tell you how excited I am to be on this journey with you, knowing that many of you have allowed me to share the Zentangle art method with you. What a joy it has been to me to see you “take off” with your Zentangle projects! How it has provided me with such pride when I see your work at one of our “Tangle and Talk” gatherings, or in a store or art/craft show somewhere in town, or on Facebook when you share. I feel like I have brought “Tanglers” into the world –kind of like giving birth! And now, on the next portion of this journey, I will be honored to have a way for you to share your love, nay, addiction, to Zentangle with the people of Wichita! So STAY TUNED…notice will go out in the next few days giving you the WHERE, WHEN, AND HOW! !